I read this article and found it very interesting, thought it might be something for you. 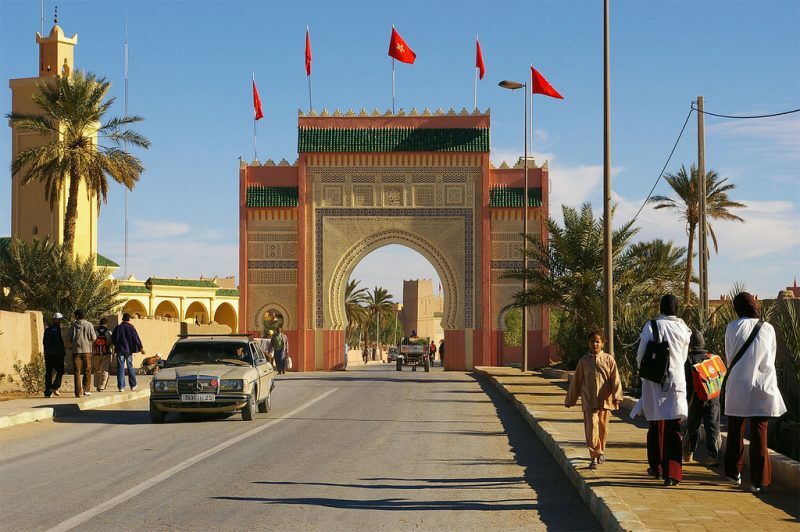 The article is called 10 Things To Do in Rissani: Morocco and is located at http://trip-n-travel.com/listicle/20688/. It is a very nice ride on a camel in the desert but takes a guide to optimize your time in Rissani. To do easily with children. 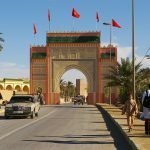 Do not hesitate to sink between the first dunes taking the path opposite the mosque out of a town of Merzouga, even by car, rolling hard, no risks. The door to the desert is close to the souk or markets. The souk, smaller which allows you to identify enough, includes most of the artisans and flavors of Morocco. It is not for tourists, but for locals, and therefore remained authentic. A very nice step. No doubt will you be curious, as often, but insist bit if you politely decline. In good weather it is fabulous, set up and stunning sun, access to the dunes by camel, foot or vehicle. This is not a sandbox (you can walk several hours or even lost), nor the Saharan vastness. But it’s a good introduction to the magic of the desert. The colors of sand are there. The isolation, it depends on a bit. There is a camp used by multiple corner hostels. For lovers of local or Moroccan history. South of Morocco, on the doors of the desert, the city of Rissani in twenty kilometers from the town of Erfoud, is the mausoleum of the founder of Alouite Dynasty. For lovers of Moroccan architecture and artisan craftsmanship. You should like the short stay then trek in the wilderness for four days in the open, trade with Zineb our guide and camel drivers who accompanied us, with a group and were of this beautiful experience. The advantage is that you can go to their feet by car, you will be greeted by guides who will offer their services but you can also climb alone without any fear. The market of Rissani is to make absolutely. There is such a variety of colors, smells it’s just great. Spices carefully arranged vendors that challenge you with a big smile, even if you do not buy anything, they thank you for the visit. There is such a choice it’s hard to decide what to take. You even have the opportunity to taste before you buy. An oasis of peace, calm, and cool in this hot region that should be visited by the whole family, but beware, only Muslim guests can go further than the garden. But access to the garden is already a paradise in itself so be prepared because it can calm you inside. The group will be taken to a certain shop while going through the place of Rissani. The owner was actually very hospitable for sure as they are offering guests with a good Berber Whiskey. Downstairs is the main gallery as there are thousands of pieces. He sat some of the group around the table patiently started pulling out pieces so everyone could see some of his vast collection. Go for an excellent guide as they have excellent specimens inside. You will have a wonderful educational experience with your children. The adults can see the works. The skills are great as they go into extracting the fossils and still make them intact. If you are in this scenic area, you should try to and have a visit. The bottle wall project is a nice way and a great way to spend time in Rissani. It’s great to meet friends that share a helpful way to help the community. There are many tourists too. You will not be alone. You will not feel alone like many travelers in their travel. Shawarma is a genuine dish from the east. In Morocco, shawarma is a favorite by locals. If you’re visiting the city, try the shawarma as it has many ingredients like meat and vegetables. Sometimes it can be spicy. Sometimes it can have other condiments. You can try in a wrap or a plate. Rissani has great scenes really worth visiting. Go for a caravan of camels, among the dunes of the desert, go see the changing colors of the sand as the sun is leaving and approaching dusk. The night sky with an immensity of stars. The dawn shows new colors and brightness of the sun is a great experience.